Brecht uses an Al Capone wannabe and the corrupt vegetable trade in 1930s Chicago to chart Hitler’s rise to power, and along the way he treats us to highfalutin’ references to some of Shakespeare’s nastier tragic heroes, as well as their blank verse. These characters are stand-ins for such Nazi leaders as Goebbels, Goring, Rohm and, of course, Hitler himself. But what they’re fighting over in Brecht’s play — amid all the intrigue, power grabs, arson, and assassinations — is cauliflowers. Among the actors only Raúl Esparza (“Law and Order: Special Victims Unit”) appears to have gotten the memo that Brecht is mixing vegetables and fascism to ridicule Hitler and his boys. Brecht wrote “Arturo Ui” just one year after the release of Charlie Chaplin’s “The Great Dictator,” and Esparza does a better job of sending up Hitler than the Little Tramp himself. No master of spoken dialogue, Chaplin lacked Esparza’s ability to turn a line inside out repeatedly. “Genius” is a word that often gets tossed around when a politician wins an election, when in fact what he or she has really done is simply taken the lowest road possible to victory. That kind of behavior doesn’t require intelligence; in fact, a blinders-induced ignorance is a distinct asset. Esparza’s Arturo Ui keeps his eyes wide shut, plus he exudes rank stupidity. 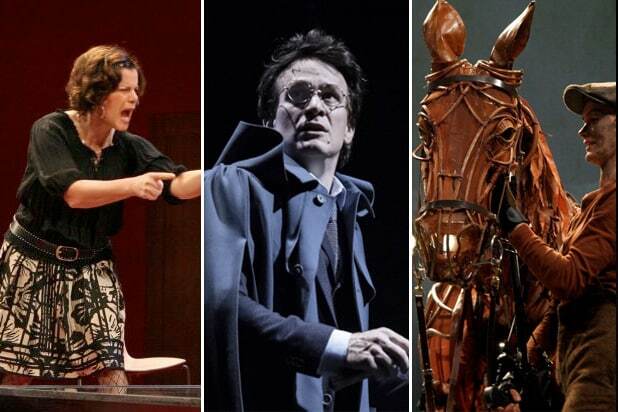 The character’s most violent harangues, and there are many, often spring from the campiest of retorts. 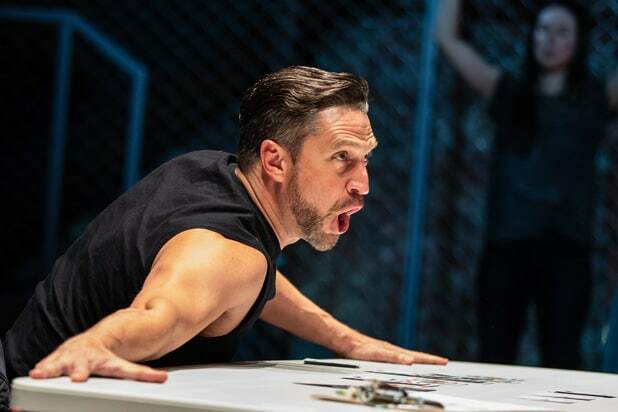 One moment, Esparza is stuck wallowing in Arturo Ui’s seemingly playful narcissism; the next, he’s a fire-breathing monster in full command. It’s a magnificently indulgent performance. The other actors appear to be performing in either “Richard III” or “Chicago.” Doyle’s double-casting of roles and his muddling of time, place and relationships doesn’t help audiences unfamiliar with “Arturo Ui” follow the story. ‘Eve’s Song’ Theater Review: Are You Woke Enough for Patricia Ione Lloyd’s Dark Comedy?